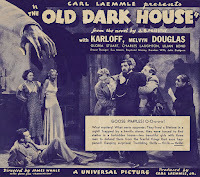 In 1932, director James Whale followed his huge success with Frankenstein by creating another atmospheric chiller, continuing his collaborations with actors Boris Karloff and Ernest Thesiger and other creative personnel from his previous films, as well as introducing Charles Laughton to both the genre and American audiences in his first Hollywood role. What was to become a classic horror film staple plot actually began as a faithful adaptation by Benn Levy of the esteemed J.B. Priestley’s 1927 novel Benighted concerning a group of bedraggled tourists who take refuge in a spooky house terrorised by a family keeping sinister secrets. The film retains the original novel’s characters, its oppressive gothic atmosphere and the essence of post-World War One angst embodied in Roger Penderel, a shell-shocked survivor of the battlefield. In fact, there is a richly effective theme of gloom that hangs over all of the players which they must fight valiantly to dispel in order to ultimately come to terms with life by the following morning. 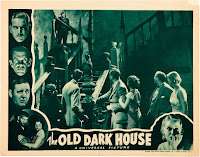 We open with Penderel, (double Oscar-winner and famous Garbo co-star Melvyn Douglas), being chauffeured haphazardly through torrential rain and mud by his beleaguered friends Philip and Margaret Waverton when they are forced to seek shelter at a nearby house. The Wavertons are Raymond Massey and Gloria Stuart, who steered interesting careers for themselves in real-life. Massey was a Broadway star who would go on to recreate cast-mate Karloff’s celebrated stage turn as Jonathan Brewster (a role written for and in-jokingly referencing him) on screen when the former was locked into still performing it on War Two for over 40 years, till her comeback eventually resulted in becoming the oldest Academy Award nominee in history as centenarian survivor Rose Dawson in James Cameron’s Titanic at the age of 87. (She died after reached her own century in 2010). The bedraggled friends are ‘greeted’ at the door by the impassive, unsettling visage of Boris Karloff as the mute, scarred butler Morgan. Billed for blunt brand-name exploitation simply as Karloff in posters, he also suffered the indignity of a clumsy prologue card that feels the need to explain he is the same marquee surname from Frankenstein. 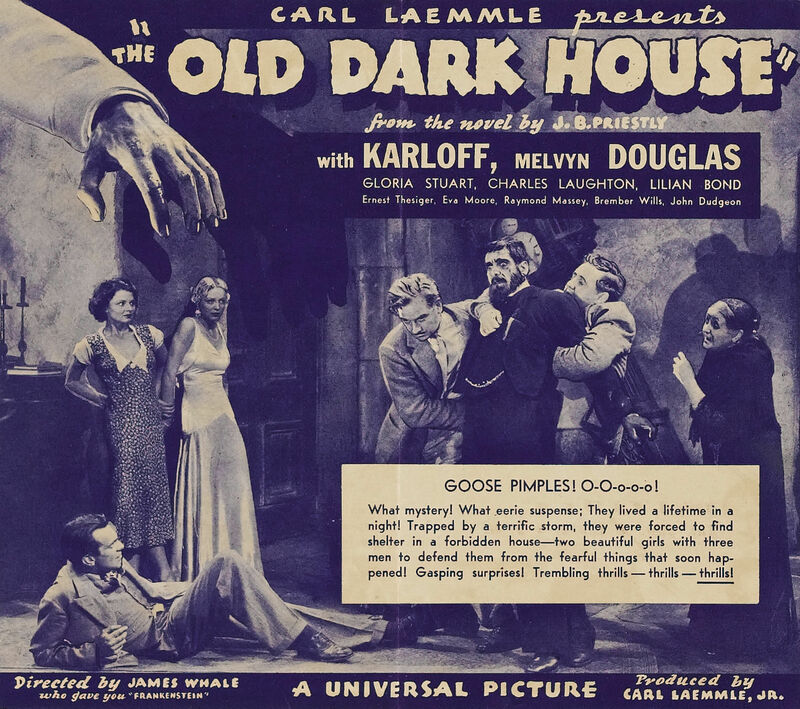 Producer Carl Laemmle Jr then compounds the insensitivity by still not quoting his first name, somewhat undermining the final compliment: “We explain this to settle all disputes in advance, even though such disputes are a tribute to his great versatility”. (Surely the marketing team could have negated any confusion and been a shade more respectful to the actor by labelling him as ‘Boris ‘Frankenstein’ Karloff’?). Regardless, Karloff generates an impressive air of brooding menace without dialogue, gradually turning more zombified and threatening as we learn more about the house occupants. We meet the curious brother and sister act of Horace (Ernest Thesiger) and Rebecca Femm (Eva Moore). He is a nervous, cadaverous host while his deaf, inhospitable sister glowers and barks with irascible puritan disgust at the ‘godless’ family around her. Moore was a stage actress and committed suffragette who, via her daughter Jill Esmond’s marriage to Laurence Olivier, became his mother-in-law. Thesiger of course became part of Whale’s film repertory company, soon to play Dr Pretorius in Bride of Frankenstein after working once again with Karloff on The Ghoul. Charles Laughton, like Lon Chaney, only made a handful of what might be classed as horror films in his enormously varied career gallery. Both actors achieved renown in the same part, Quasimodo, in The Hunchback of Notre Dame - Laughton’s 1939 version is arguably the greatest interpretation to date. Despite their other shared trait of great versatility, Laughton managed to escape the misleading label of ‘horror actor’ that forever followed Chaney. This may be largely due to Chaney’s tragic death in 1930 when sound was in its infancy. Much of his huge output of silent films is lost, increasing the vividity of his brilliance as Hugo’s endearing monster, as Eric, The Phantom of The Opera and his dual roles in the still-missing London After Midnight. Laughton was fortunate in only having moon-lighted from his esteemed stage work to dabble in silent shorts written by H.G. Wells and British ‘quota-quickie’ features before making an immediate and long-lasting impact in Hollywood just as the technology for ‘talkies’ began to be viable. His good fortune in the profession nonetheless connected him with a number of talents who became famous in horror cinema. Laughton was a Yorkshireman, born in Scarborough to hotelier parents. He was schooled at the strict Jesuit college of Stonyhurst whose regime instilled in him life-long feelings of Catholic guilt, which cannot have made his emerging homosexuality any easier to bear in an already repressive era. Being the eldest of three boys, Laughton was primed to take over the family business of the grand Pavilion Hotel by training in London, arranged through his notoriously upwardly mobile mother Eliza, at the very posh Claridge’s. Charles gained his first sampling of the delights of the West End theatre world, appreciating the work of actors such as Gerald Du Maurier and other names whom he would meet as hotel guests. The young man’s work experience was cut short though when he signed up to fight in World War One. He eschewed the opportunity for the officer’s rank that his social position would have allowed him, having no appetite for a leading role in that sphere. He joined up as a lowly private and fought until he was gassed in battle during the very last week of conflict. The result was a lingering double legacy for life of throat problems and a new sombreness that would never quite leave the formerly light-hearted boy. This dark shadow was common to returning ex-soldiers, something J.B. Priestley would allude to in The Old Dark House’s source novel. Laughton’s awakened appetite for the stage led him to amateur roles with the Scarborough Players whilst running the family hotel. This crystallised his burgeoning ambition for the actor’s life, so at the relatively advanced age for a drama student of 24, he was auditioned successfully at RADA before a panel including Claude Rains, thus establishing a meaningful professional link with the eventual leading man of Universal’s The Invisible Man (directed by James Whale) and their 1943 remake of The Phantom of the Opera. Laughton was a focused, reclusive student, not wasting a second in learning from what was only a one-year course back then. His character detail and inventiveness was becoming extraordinary, moulding the plump clay of his physique and unprepossessing face into memorable manifestations of his inner creativity. Laughton’s work was getting noticed in student productions, even in parts not wholly suited to him. He earned this prescient remark backstage after Pygmalion by none other than George Bernard Shaw: “You were perfectly dreadful as Higgins, but I predict a brilliant career for you within a year”. The renowned Shavian perceptiveness was bang on target. Within that year, the ex-student was directed by the illustrious Theodore Komisarjewsky in Gogol’s The Inspector General opposite his recent tutor Claude Rains at London’s Barnes Theatre. After acquitting himself well in two Chekhov plays, Laughton then made his West End debut cameoing in Liliom at the Duke of York’s with Ivor Novello who of course had been Hitchcock’s spooky The Lodger on screen in 1927. He was already creating a hugely impressive start to his career. Indeed, in Simon Callow’s excellent biography Charles Laughton: A Difficult Actor, he notes that the year after graduating, in 1927, the actor notched up “seven featured roles in seven West End productions”. Crucially, this enabled him to bypass the lower levels of cheap-jack repertory which can lead to bad habits in technique. He was accustomed to working with the very best and would never sink to anything less than fellow thoroughbreds from here onwards – an expectation that wasn’t always the most understanding when dealing with others. 1931 was the dramatic turning point for Laughton in both his professional and private life. The West End stage run of Payment Deferred was the hit that took the couple across the Atlantic to New York exposure and from there to the offer of a Hollywood film debut. However, before he and Elsa could take advantage of this, someone else’s more sinister opportunism would have to be faced. During rehearsals in London, Laughton’s secretly homosexual life had made him the victim of attempted blackmail by one of his pick-ups. A policeman became involved in the incident and an utterly ashamed Laughton was forced to confess his double life to Elsa. She was shocked and felt betrayed by his deceit, yet after asking the truth about the story, from then on, to her credit, never discussed his gay persuasion with him again. They remained a steadfast couple – but with unspoken quicksand in their marriage never to be entered into from that day. 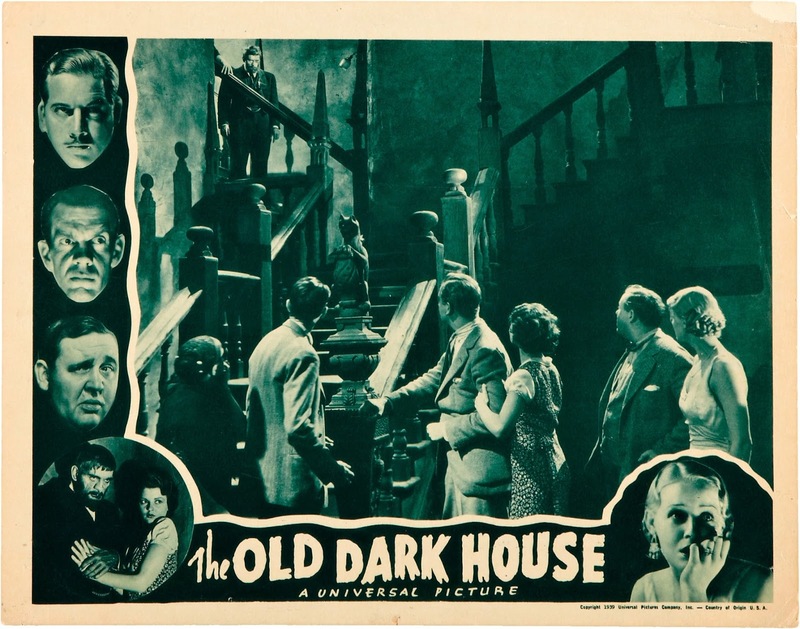 Laughton’s entrance into Tinseltown via the eerie house of the Femm family was a powerhouse one. Initially he dominates his first scene as Sir William Porterhouse, bursting in as a hearty whirlwind of northern energy with his young playmate Gladys Ducane (Lilian Bond). He chuckles and disarms, using well the actor’s native Yorkshire accent and a matey, carousing unpretentiousness to undercut the grandeur of his title. This reveals itself later to be something of a bluff cover for a deep-seated legacy of bitterness under the surface. Laughton expertly shifts the tone to a heart-felt confessional where he recalls the painful spur of social snobbishness at his firm that drove his wife to commit suicide and turned him into a vengeful possessed capitalist: “I swore I’d smash those fellers and their wives who wouldn’t give my Lucy a kind word. Hah! And I ‘ave smashed them…at least most of ‘em”. After Penderel and Gladys become unconvincingly fast lovers, Laughton surprises again by not converting his commanding energy into slighted rage. Instead, he moves us by giving them a gentle, resigned blessing borne of a mature understanding that he and the ex-chorus girl were only temporary companions. The guests’ soulful unburdenings are contrasted with Karloff’s Morgan carrying out his warned-of alcoholic rampaging. He is genuinely unnerving. As with Frankenstein’s monster, Morgan is more enigmatic and frightening without dialogue. He is an unstable threat, coming after Margaret and Philip all the more relentlessly for not being talked away. No exposition or pre-amble, just the desire to kill them. Penderel is lucky to fend him off on the stairs. If you thought the two Femm hosts on display are kooky, wait till you see the others hidden up that staircase. There is the 102 year-old father, Sir Roderick, an appropriately-wizened old Catweazle, cleverly cast with actress Elspeth Dudgeon who was billed as John Dudgeon. Whale was apparently unable to find an old enough male for the part. (Happily, having a female play him has the bonus of creating a convincing ‘childish treble’ in such an aged man’s voice). 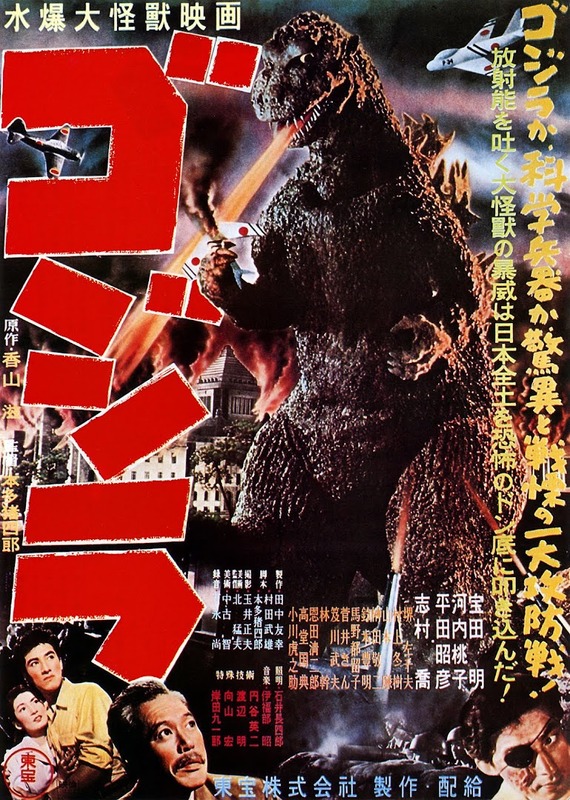 Possibly the most lethal ‘Femm fatale’ of all is held back for the climax. Brember Wills is Saul, a bearded dissembling wack-job whose fondness for pyromania is so dangerous that he is usually locked away, tended to by a strange bond with Morgan. We are teased with a close-up of his hand before he appears. He tries to engage Penderel in his hobby: “I know things about flames that nobody else in the world knows!” After recounting the biblical story of his name-sake’s attempted spearing of the young David, he fails equally to pin Penderel with a flying knife and almost burns the house down before he is neutralised, causing Karloff to break down in affecting tears over his wounded body.